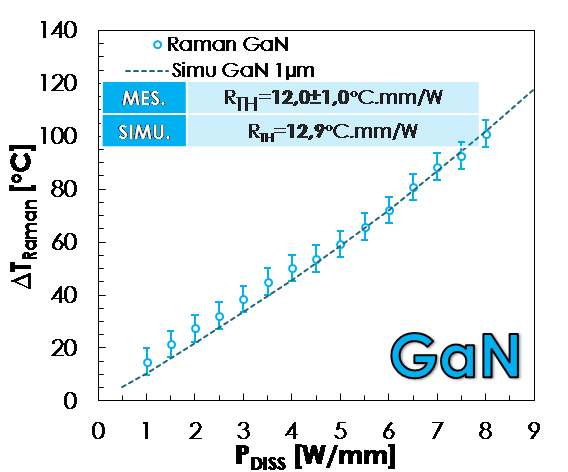 The thermal modeling, the thermal characterization and the reliability of the GH25 power transistors for X band applications were performed [1-3]. The performances and the reliability are strongly linked to the self-heating inside the component. An accurate temperature assessment in real operating conditions is therefore required. 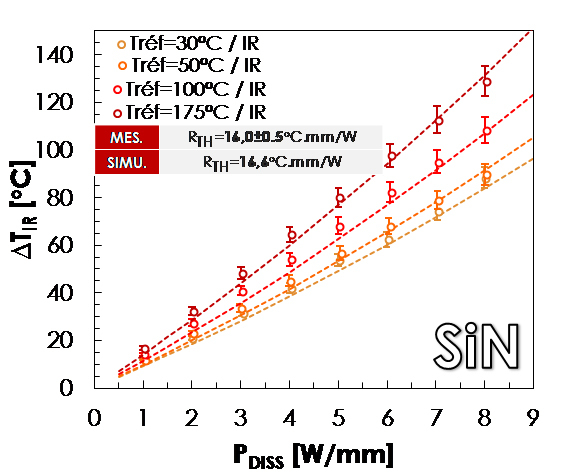 For these reasons, a dedicated in-house thermal model has been developed using a parameterized tool to extract the maximum temperature of the transistor. 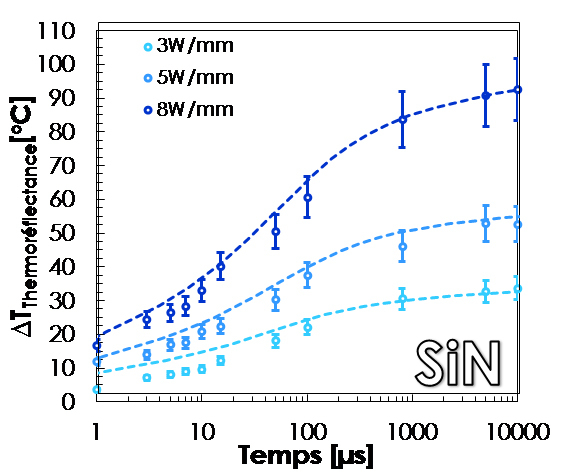 The simulation results have been compared with the temperature measurements in the vicinity of the hot spot. These measurements have been performed using Raman spectroscopy (Fig.1a), IR thermography (Fig. 1b) and thermoreflectance (Fig. 1c) to validate the thermal models accuracy in DC, pulsed and for the first time, in CW operating conditions.